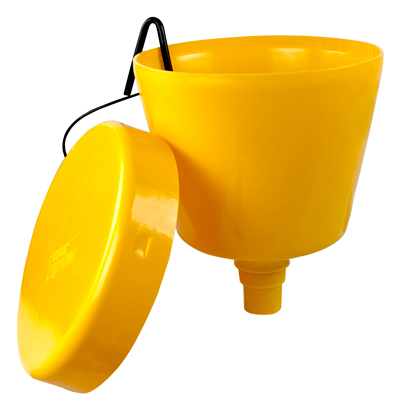 E-Z Smart Funnel | U.S. 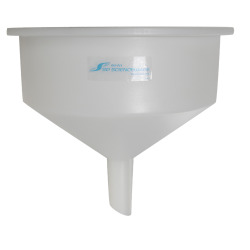 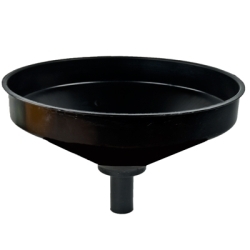 Plastic Corp.
With the funnel extension, trapped air stops the liquid from filling to the top of the barrel. 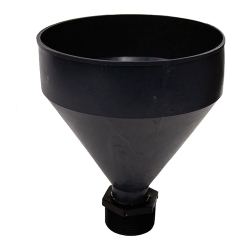 It leaves just enough room to add 2 gallons more to the barrel, which is the capacity of the funnel. 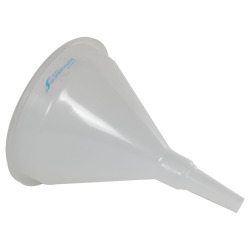 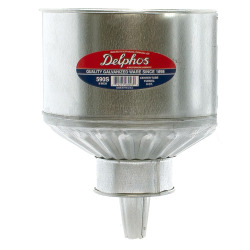 In order for the funnel to work properly, it must be removed immediately when fluid no longer flows freely. 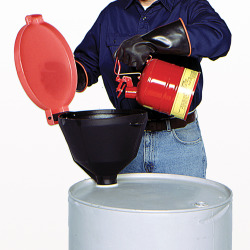 This means the drum is full and cannot take any more fluid. 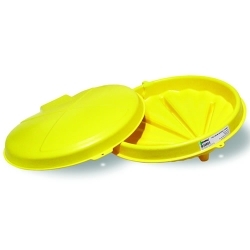 Top OD with Cover: 11-1/2", Top ID: 11", Thread: 2"